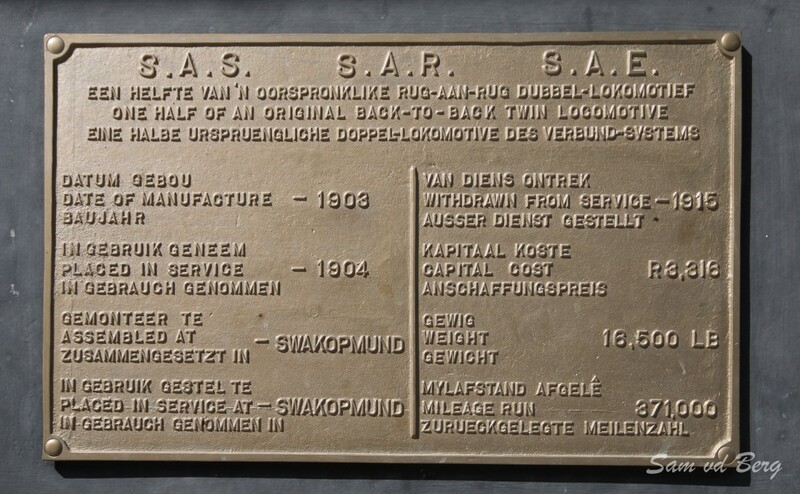 Plaque displayed on the plinthed Zwillinge No 154A steam locomotive. 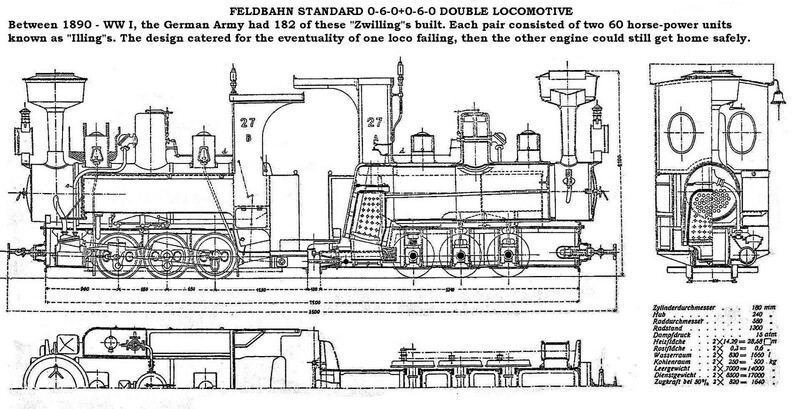 Incorrect date of manufacture. 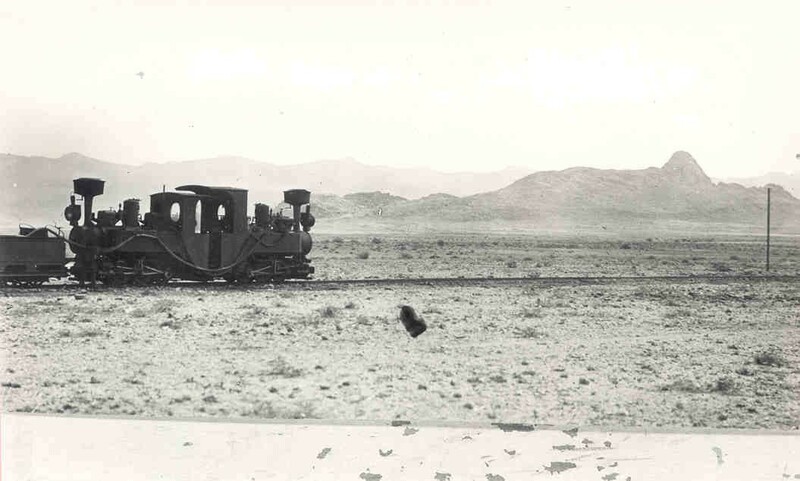 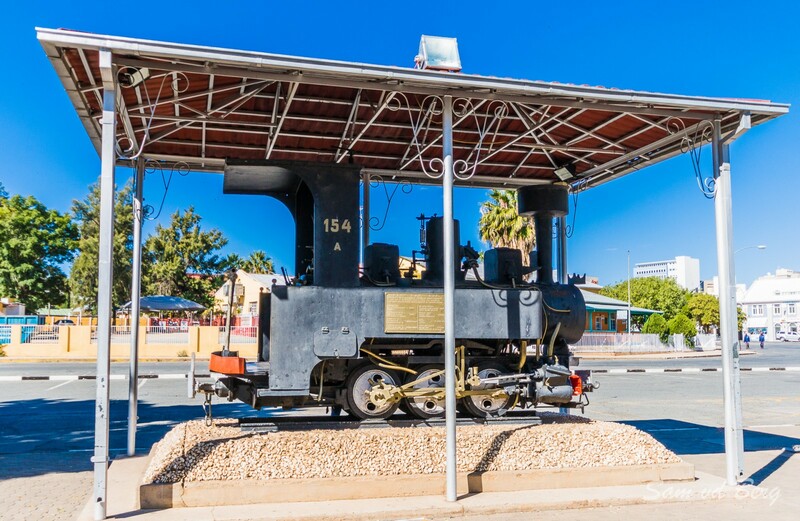 The Zwillinge No 154A steam locomotive at Pforte on the Swakopmund Windhoek line. 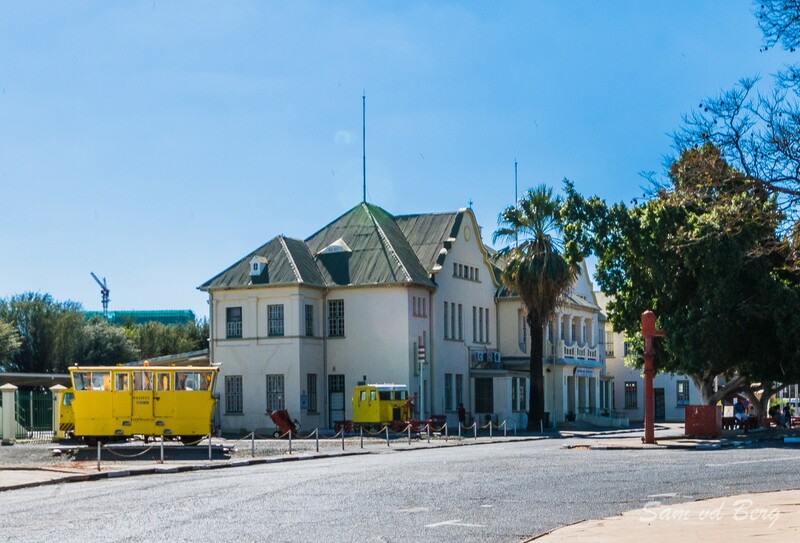 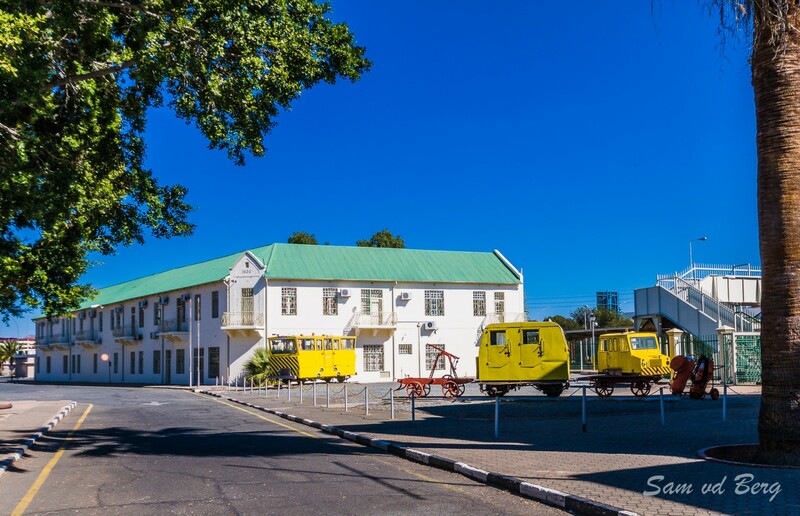 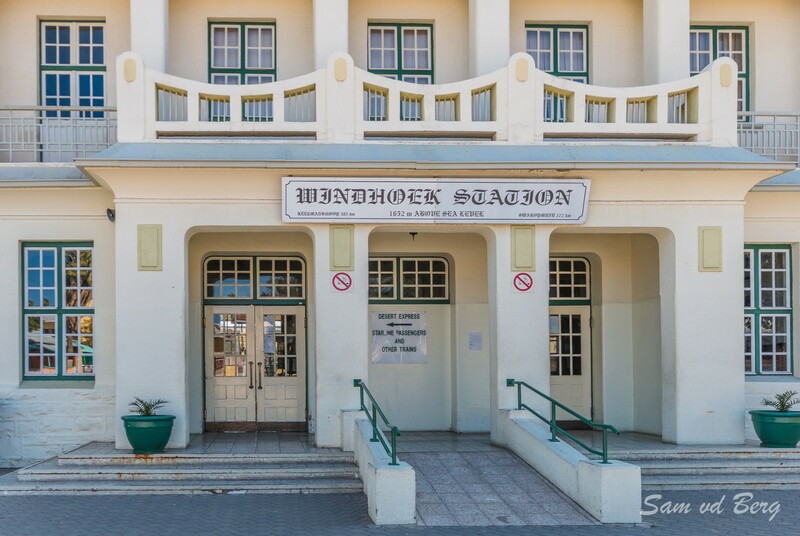 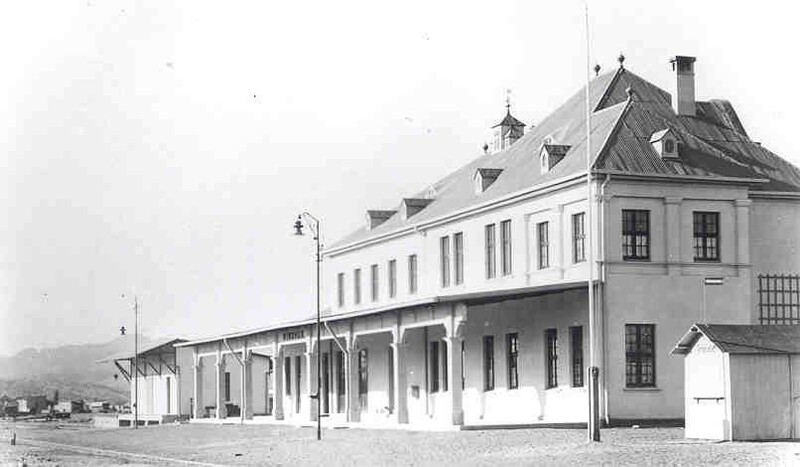 The Windhoek railway station was built in 1912 and extended in 1929. 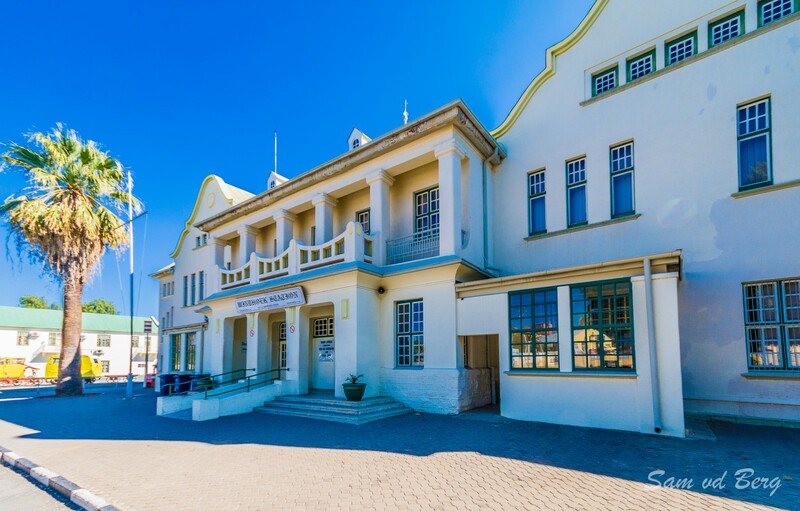 The station building houses a small railway museum with a collection of railway related items as well as photo archives. 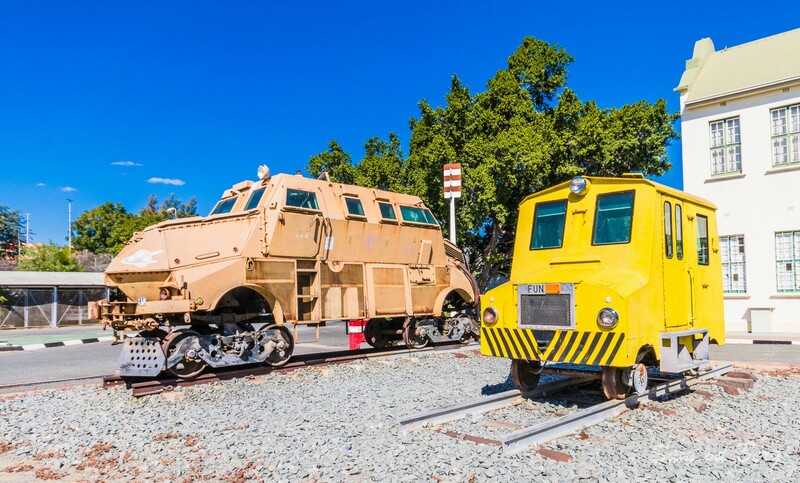 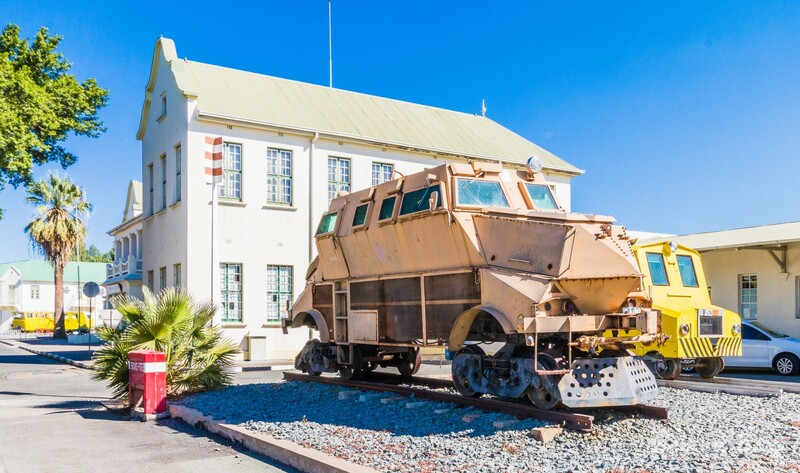 Also on display is a Class 32-000 General Electric type U18C1 diesel-electric locomotive as well as some other relics including a "Bospadda", an armoured track inspection patrol vehicle with the nickname Kobus dating back to the Namibian Bushwar. 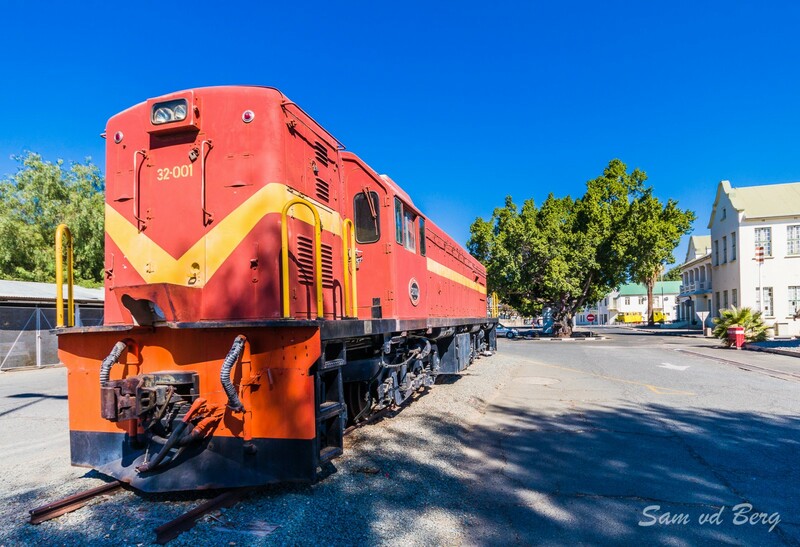 Between November 1959 and November 1961 the South African Railways placed one hundred and fifteen of the Class 32-000 diesel-electric locomotives in service in South West Africa. 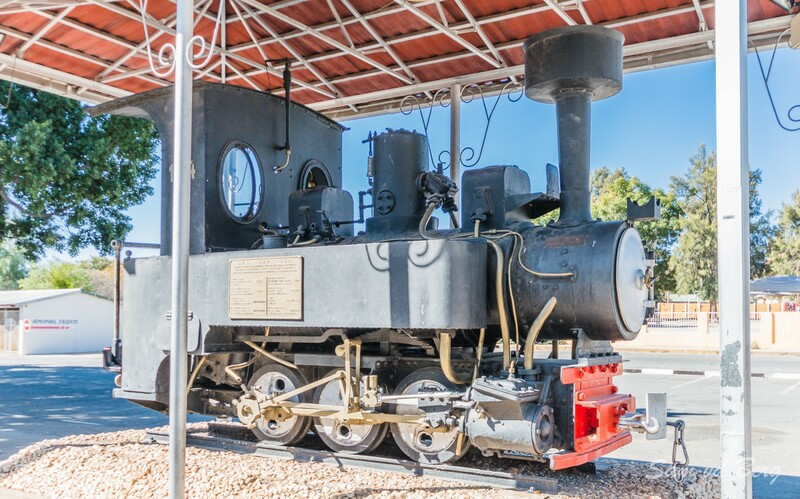 http://steam-locomotives-south-africa.blogspot.com/2007/11/windhoek-154a-class-zwillinge-loco.html, accessed on 27 June 2018.